Paul Suderman was born in Winnipeg, Canada, and was uninterested in the arts until a trip to the Chicago Art Institute at the age of 13 changed him forever. He pursued several different directions at the University of Manitoba before discovering the Film Studies department, where he began his journey as a filmmaker. He started actually making films through the Winnipeg Film Group, and his short film “Brothers” played in film festivals from New York to Vancouver, and in stranger places like Croatia and Manaus, Brazil. 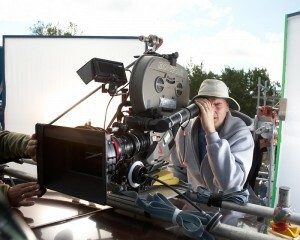 After deciding he wasn’t smart enough to direct, he began to focus on cinematography, shooting numerous short films and independent feature films. He has a passion for lighting and composition, and loves the collaborative aspects of film making.